Gerardo's is Family Owned and Operated and has been at the same location in Historic Boston since 1969 !! 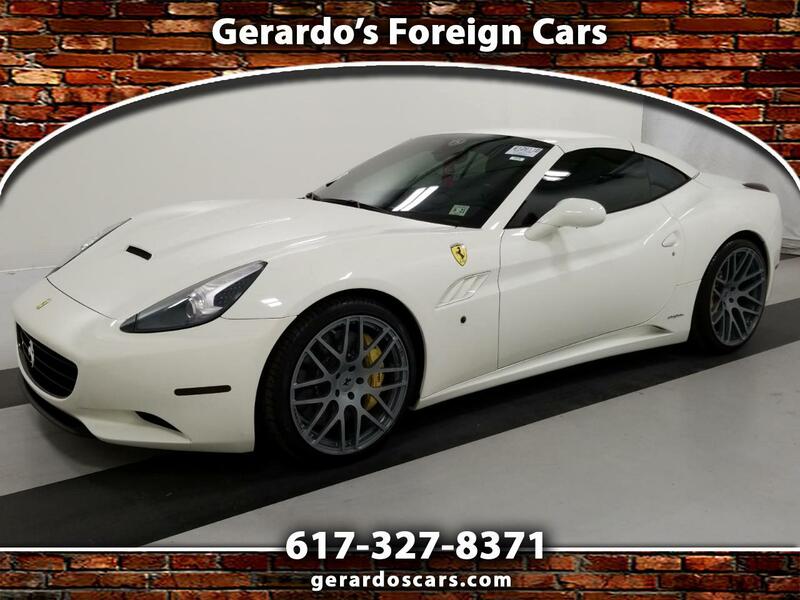 Visit Gerardo's Foreign Cars online at Gerardoscars.com to see more pictures of this vehicle or call us at 617-327-8371 today to schedule your test drive. Knowing that GERARDO'S Foreign Cars has been family owned and operated at the same location since 1969 will give you piece of mind that we are here to meet and exceed your customer needs. Call 617-327-8371 and speak to someone on the Gerardo’s Sales Team.GERARDO'S is celebrating "50 Years" of Excellence. Thank You to our customers !!!! Message: Thought you might be interested in this 2013 Ferrari California.